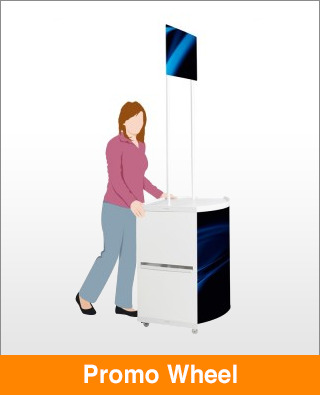 The wheeled In-store promotion unit assembles into a robust, moveable, lightweight promotional counter. Graphics can be easily adhered to the system for instant branding. The smooth, wipe clean surface makes it idea for use in hygienic conditions.